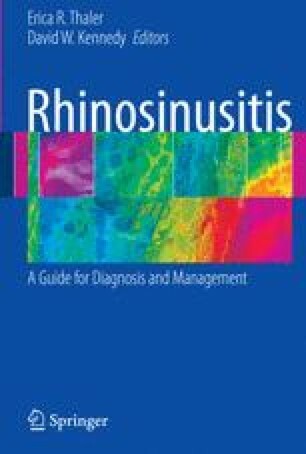 Clinicians have observed a relationship between allergy and acute and chronic rhinosinusitis (RS) for many years. This association appears to be common, and has been described by a number of authors over the past several decades . As both RS and allergy reflect inflammatory disorders of the upper respiratory system, it is compelling to speculate that these two illnesses share common pathophysiological mechanisms and that treatment of nasal allergies would have an important benefit in the management of patients with RS. The science supporting this relationship, however, is largely anecdotal and epidemiologic, and mechanisms through which allergy predisposes a patient to RS are currently speculative.